Happy almost April! It's officially arts advocacy season, with Arts Advocacy Day in Washington just around the corner. Sadly, I won't be able to make it down to DC this year (even more of a bummer since Alec Baldwin, aka 30 Rock's Jack Donaghy, is giving this year's Nancy Hanks Lecture!). But I'm not going to sit this advocacy season out. 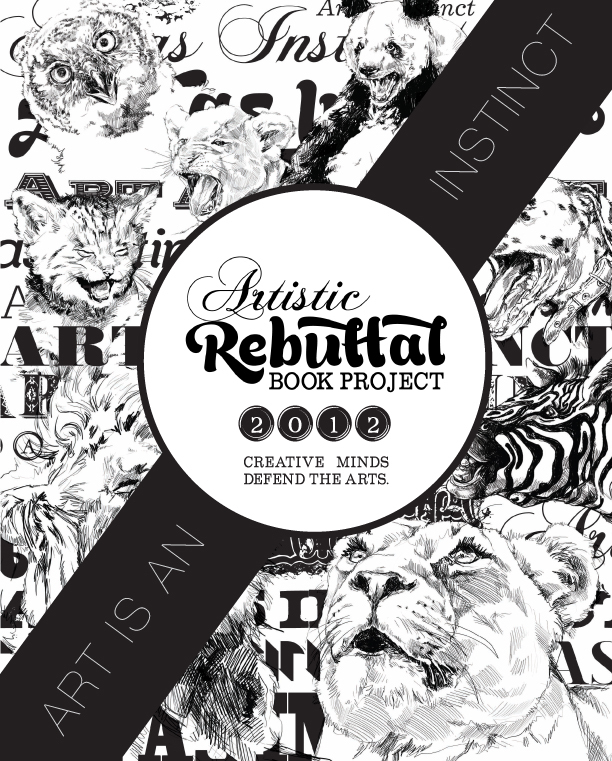 Aside from writing to my senators and representatives on the relevant issues (as always), I'm going to submit a rebuttal to the Artistic Rebuttal Book Project. Read on to learn more about this project and how you can submit a rebuttal of your own! All rebuttals from the state of Pennsylvania were combined into a book that was presented to PA Senators and Representatives at Arts Advocacy Day last year. In addition, a Kickstarter campaign funded the publishing of Artistic Rebuttal books, which were distributed to key people both within and outside the arts. Founder Amy Scheidegger has also been hitting the lecture circuit, speaking at both Drexel University and Louisiana State University. She was also named a 2011 Philadelphia Creative Connector (for obvious reasons). What does an Artistic Rebuttal look like? What's next for the ARBP? So there's your 2011 history of ARBP. What's happening with the Project this year? The success ARBP enjoyed last year has paved the way for an ambitious 2012. Partnerships with the Philadelphia Mural Arts Program, the Greater Philadelphia Cultural Alliance, Apiary Magazine, Appalachian State University, the Pennsylvania Academy of Fine Arts, and the Beaufort County Arts Council in Washington, NC. And ARBP has gone from an idea to a staffed organization - of which Scheidegger is the Director. "By introducing this book to the world, I...charged myself with a task that would ask more of me than I ever asked of myself," she says. So- it's Friday now. The deadline for to submit a rebuttal this year is Friday, April 6 - a week from today! I guess you know what you're doing over the weekend, right? RIGHT? (If you didn't get that, I'm encouraging you to submit an artistic rebuttal!) I know I'm making one this weekend (note - if you're not artistically inclined, write your thoughts down and take a picture!) Information on how to submit is available at the Artistic Rebuttal Book Project website.